A beautiful gift to celebrate a special birthday. 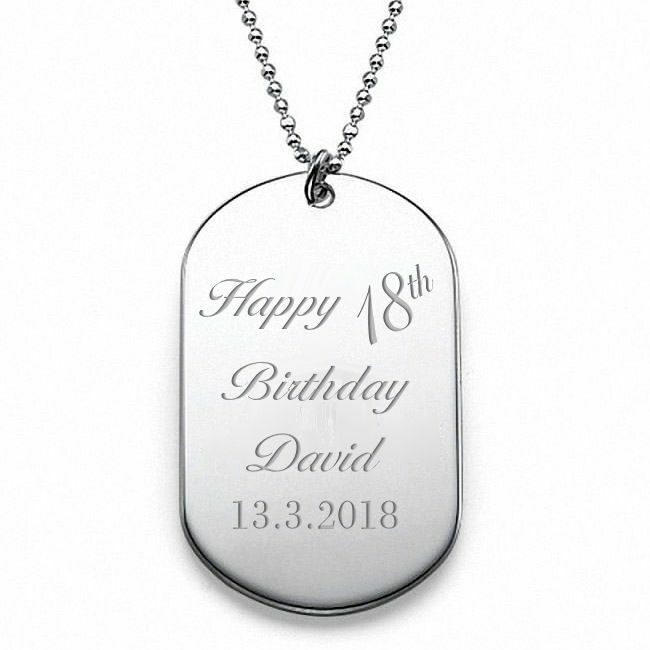 Our army ID tags are made of hard wearing stainless steel with a shiny polished finish, and are supplied with a matching ball chain. Choose age, name and date for the front of the tag and add your personal message to the back. This tag comes in a stylish gift box. (H) 50mm x (W) 30mm approx. Supplied on a 60cm silver colour ball chain. For engraving on the back we recommend 6 lines of 15 characters per line including spaces. If no engraving is required please leave engraving box blank.